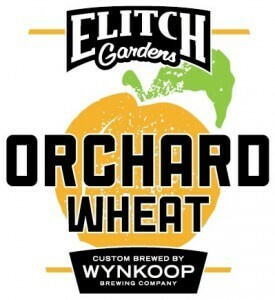 Two custom-made Wynkoop Brewing Company beers from last year– Elitch Gardens Orchard Wheat and Elitch Gardens Fire Roasted Amber — are back on tap at the now-open park and at Wynkoop Brewing. 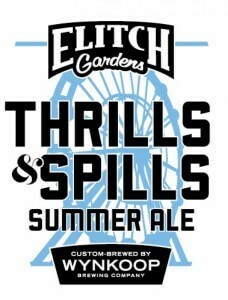 This year’s new Elitch Gardens beer is Thrills & Spills Summer Ale, a hoppy, low-alcohol, English-style summer ale designed (by head brewer Andy Brown) for warm-weather quaffing. It’s fermented with an English ale yeast and weighs in at just 4.2 % ABV. The beer is amply hopped with whole-leaf Kent Goldings hops from the UK. A large portion of these hops are used in a post-boil addition (in Wynkoop’s trademark Hopinator hopback device) to provide an extra dose of hop aroma in the beer. As you know, more and more people in our area want a thrilling, locally made beer when they’re out having a great time. The park’s management saw that firsthand last year. We’re thrilled to be bringing back this super smart liquid-art collaboration between two longstanding providers of Denver fun. The custom Wynkoop beers are being served in a number of locations at the park, including the Blue Moon Beer Garden, J.M. Mulvihill’s Bar & Grill, Rustler’s Food Court, Draught Works, Fresh Cut Fries and Island Breeze. A small number of kegs of these beers will soon appear at a limited number of our beeriest draft accounts.